Jeff A. Weiss, the new president at Lesley University. 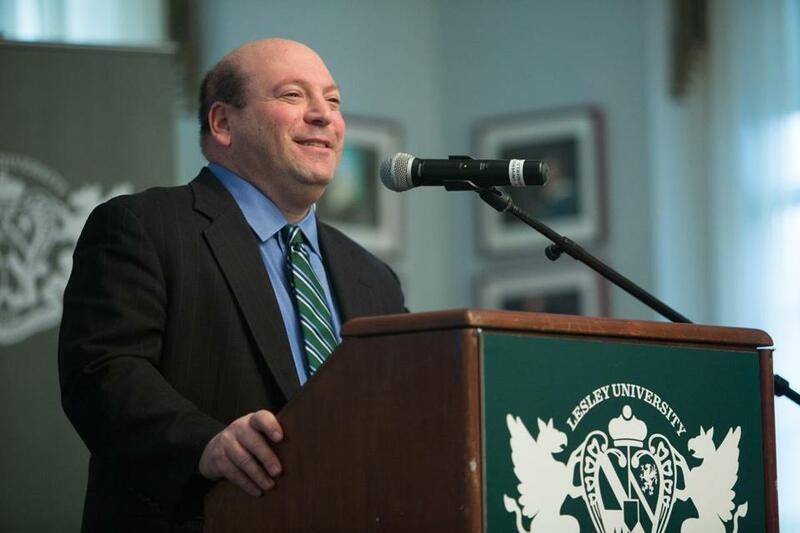 Lesley University has named an international consultant and expert in negotiation and mediation as its next president, the college announced Wednesday. Jeff A. Weiss was unanimously appointed by trustees and is set to start the job July 1, the Cambridge school said. Weiss succeeds Joseph B. Moore, who will retire after nine years as president of Lesley. The college has about 7,500 undergraduate and graduate students and is known for its low-residency and online programs that cater to working professionals. It specializes in degrees in teaching, the arts, human services, and the environment. Moore succeeded Margaret McKenna, who led the university for 22 years and is now president of Suffolk University. Weiss is a founding partner and co-leader of the Alliance Practice and Healthcare Group of Vantage Partners, an international consulting firm, where he works with physicians’ organizations, hospitals, and other health care systems. He also leads the firm’s senior operations team. “Jeff has a deep respect for Lesley’s mission and values which, when combined with his extensive experience empowering leaders and navigating complex organizations, positions him perfectly to build on our strong foundation and set a strategic direction for our next 100 years,” said trustees chairwoman Deborah Schwartz Raizes, a Lesley graduate. Before founding Vantage, Weiss was a partner at Conflict Management Inc., where he provided training on complex negotiation and mediation around the world. He has also written several books about leadership and negotiation. Weiss said his experience negotiating between and within organizations will help him run the university and work with students, professors, alumni, the community, and others. “Close to 30 years of work … has taught me the critical importance of listening, building understanding, leveraging difference, joint problem-solving, creative thinking, and clear communication,” he said in a statement. Weiss is also an adjunct faculty at the Tuck School of Business at Dartmouth College and the US Military Academy at West Point, according to his company’s website. He has an undergraduate degree from Dartmouth College and a law degree from Harvard Law School. He is married to Gerri Weiss, a nurse practitioner, and has two sons.